Boston native, winemaker Keith Emerson has more than 15 years of experience in the wine industry. He is one of the few winemakers who excels in crafting both Bordeaux and Burgundian varieties and produces wines from Napa, Sonoma, Oregon and Santa Cruz. In 2005, Emerson joined Napa’s Vineyard 29 as Director of Winemaking charged with managing the production of Vineyard 29’s estate portfolio. 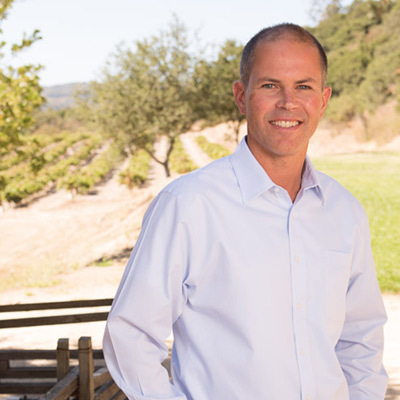 As director, Emerson oversees all wine programs for Vineyard 29’s ultra-premium custom crush clientele, managing wine production for prestigious producers including Melka, Skipstone, Levensohn, Knighton Family and Vinoce. Concurrent to his Vineyard 29 duties, in 2005 Emerson partnered with friend and colleague, Brian Brown on the artisan winemaking endeavor, Emerson Brown Wines. He also consults for Robert Craig Winery, Gundlach Bundschu, Martin Ray Winery and founded a limited production Shea Vineyard Oregon Pinot Noir called Sonría in 2009. He holds a B.S. in Enology and Viticulture degree from University of California, Davis.